We are a consortium of Personal Injury Chiropractic Physicians and medical Physicians that were trained in different fields of education, but think alike, too medically assist you the motor vehicle accident victim!! 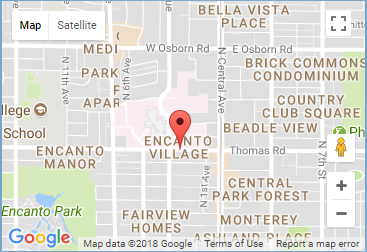 We are everything Chiropractic and medical if you have been in an auto accident in Phoenix AZ or anywhere in the great state of Arizona Give us a call we would absolutely love to help you to get well again. Our Medical doctors and Doctors of Chiropractic have put aside all the typical medical chiropractic differences and work in concert to put together a standardized medical management and documentation of your injuries and then get this information to your personal injury attorney as soon as humanly possible. We do all of this to benefit you the Arizona Car accident victim. Our ultimate goal is to devise a medical legal blueprint that gets you out of pain in the quickest way known in the chiropractic and medical fields and to ensure you are rightfully compensated by all the insurance companies involved. Our mission is to provide doctors to work with lawyers to document and manage your personal car accident injury cases to insure you get the best care possible and are fairly and rightfully compensated for your injuries. Our Chiropractors are uniquely aware that if you or a family member have been involved in a motor vehicle accident you more than likely have suffered spinal ligament injury or spinal ligament damage which is the leading cause of pain and disability today. 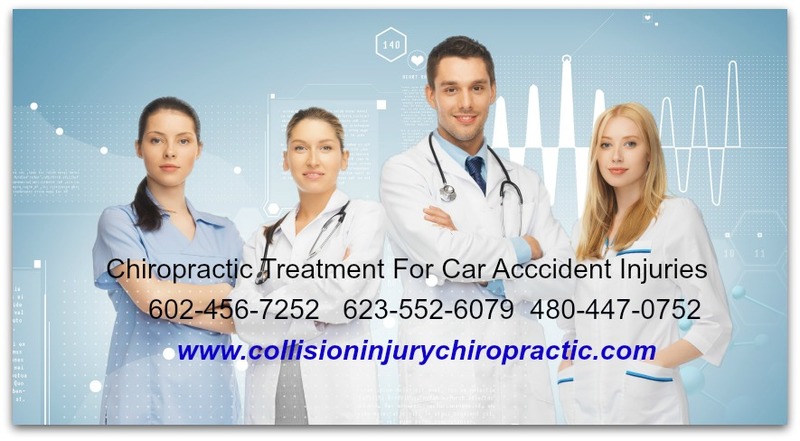 How are the Phoenix Car accident Chiropractors and Medical Doctors Different? Our Chiropractors are specifically trained to look for the signs of spinal ligament injury and document your ligament injuries according to the AMA guides to permanent impairment 6th edition. We then provide each patient who suffered spinal ligament injury specific medical legal documentation with a comprehensive impairment rating report by a physician who is credentialed and certified by the American Board of Independent Medical examiners. All of this information is medically and legally admissible in a court of law and your insurance adjusters know this as true and factual. This documentation allows your Personal Injury Attorney to get you the maximum settlement allowed by law and not whatever your insurance adjuster feels like he or she wants to offer you. At Collisioninjurychiropractic.com our patients first undergo a thorough assessment and examination to determine the mechanism of injury causally related to your pain complex. We develop a customized injury management plan targeted to relieve your pain. We utilize the most advanced technologies in pain management combining Chiropractic in tandem with interventional pain management. Our medical and chiropractic protocols were designed to strengthen your physical ability to cope with the devastating effects of vehicular trauma. We do so in order to quickly return you and your loved ones to a fully functional and productive life. Our Medical and Chiropractic professionals opine that if you or a loved one have sustained injury in a motor vehicle collision you should enjoy a speedy and full recovery and be justly compensated for your injuries and damages. Given the support of our specifically trained professionals, we intend to insure that you the accident victim are not taken advantage of at the hands of insurance companies.